In August 2015, Information and Referral Centre of Greater Montreal (IRCGM) obtained its 211 operator license from Centraide/United Way Canada and InformCanada. This recognition reflects the skills and processes put in place in previous years by the Center which complied with the 29 types of requirements requested by the 211 Licensing Review Committee in Canada. Since then, IRCGM could officially offer the 211 service in Quebec municipalities. The City of Laval has every reason to congratulate itself on the innovative nature of its interventions offering its citizens a maximum of services, especially in the social area. This was demonstrated once again in 2016 when Laval became the first municipality in the Montreal Metropolitan Community to implement 211 on its territory, a service which allowed Laval’s citizens to easily access all social services serving the region. After an official announcement in March 2016 by the mayor of Laval, Mr. Marc Demers, the 211 implementation (web and telephone service) was completed in a few months and is now functional since October 2016. “In addition to contributing to the social thriving of families and communities, 211 Laval will strengthen our community network by ensuring the continued promotion of resources available both on our territory and beyond the city limits” said Mayor Demers in a press conference launching 211 on October 21, 2016. Implementing 211 in Laval is the first step towards a larger deployment of this service on the territory of the Montreal Metropolitan Community. Asked for, and waited on for a long time by community organizations, social workers, social counselors and researchers, the web directory compiling organizations and community programs was put online on January 1, 2017. The City of Montréal opted for the online directory only in a first phase. Discussions continued so that the 211 telephone service, like in Laval, becomes accessible to Montrealers for whom a human voice is important when social needs are urgent and when people need to be guided but don’t know where to turn. 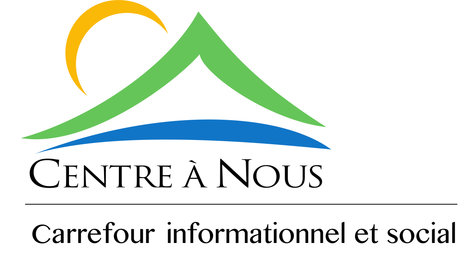 Since spring of 2017, citizens and community organizations of the MRC de L’Assomption have been able to rely on the 211 Service (telephone and web) which directs people to non-profit, public and parapublic organizations serving the territory. It should be noted that the MRC de L’Assomption thus becomes the first MRC territory in the Montreal Metropolitan Community to endorse 211 and to make the service available to its citizens. Implementing 211 at the scale of this MRC which includes Repentigny, L’Assomption, Charlemagne, L’Épiphanie and Saint-Sulpice is the result of a need formulated during the public consultations conducted by the MRC’s officials on the territory in the fall and winter of 2015. “Without a doubt, 211 is a one-stop shop that, on the phone and online, will facilitate access to information about the many resources in the area. This represents an added value which is intrinsically linked to the quality of life of our citizens,” declared Mrs. Chantal Deschamps during the announcement of the incoming service. The management of the IRCGM has been very proud to work with the MRC of L’Assomption and the City of Repentigny in the implementation of an integrated 211 service of the highest quality which will help people find quickly and efficiently relevant community resources. 211 and Carrefour informationnel et social will work closely to provide an efficient and complementary service. In the fall of 2017, the 211 service was launched in a second MRC, Thérèse-De Blainville, which decided to make information and referrals quickly accessible to its citizens in the cities which are part of the MRC: Blainville, Boisbriand, Bois-des-Filion, Lorraine, Rosemère, Sainte-Anne-des-Plaines and Sainte-Thérèse. Thus, in October 2017, the web phase was immediately completed in the MRC and the telephone phase followed in December 2017. On September 28th, the Board of the Montreal Metropolitan Community (CMM) approved the implementation of the 211 service in the Greater Montreal Area, allowing citizens of 82 municipalities in the CMM to have access to the full service (phone and web) in the year 2018. The first step involved that the 211 website listed the socio-community resources in Greater Montreal, this phase will be completed in early January 2018. “This site will not only help the population, but also counselors and social workers, healthcare and social services personnel, community organizations workers and the police services of the Greater Montreal area,” declares Pierrette Gagné, executive director of the IRCGM. In a second step, the telephone service was implemented in spring 2018. Since April 1 2018, the citizens of the 82 municipalities in the CMM can dial three easy-to-remember digits, 2-1-1, and easily reach an information and referral advisor who will direct them to the community resource relevant to their needs. This means that roughly 4,000,000 citizens are benefiting from the 211 Grand Montréal service. Since November 1st 2018, the 211 service benefit to the 11 municipalities of the MRC Les Jardins-de-Napierville : Hemmingford (canton), Hemmingford (village), Napierville, Saint-Bernard-de-Lacolle, Saint-Cyprien-de-Napierville, Saint-Édouard, Saint-Jacques-le-Mineur, Saint-Michel, Saint-Patrice-de-Sherrington, Saint-Rémi, Sainte-Clotilde.